After customer approves the artwork then the cookie magic begins! We bake the cookies fresh the day the customer requests them shipped!! We ordered cookies for my Grandfather's 90th birthday, from the very st interaction with the Parker's website, I knew our customer service experience would be bar none. Every before we decided to order, every question we had was clearly answered on the website. Once we decided to order, each step of the ordering process was seamless, Parker's was quick with the mock-up, made corrections we asked for in minutes. To say the al product was beyond expectations is to put it mildly. 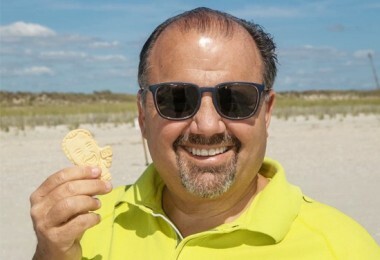 Our cookies arrived in perfect shape, were a spot-on match to our Papa's likeness, and they tasted delicious. I feel the pricing is very reasonable for such a custom item. Everyone at the party was talking about them. They are a hit. I will be referring and ordering from Parker's again. If you are looking for an amazing customer experience, and a product that will make an impression at your event - look no further. Parker's is phenomenal. These were PERFECT for our wedding. They are so unique and everyone couldn't believe how they looked just like our photo. 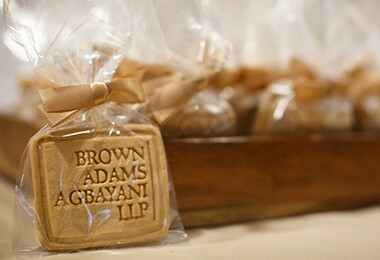 I would highly highly recommend this cookie for the wow factor your guests will experience like our guests! It was such an easy process and these guys know their stuff they are super friendly and pleasant to deal with. You can call them and they will actually answer the phone and you will talk to a real human! These guys know how to provide a great product while knowing how to do business!! Very very pleased! The whole process was simple and extremely efficient. They communicated with me every step of the way and the turnaround time was much faster than I expected. The artist captured my husband's likeness in the first draft! The cookies arrived exactly when they were expected despite weather conditions and not a single cookie broke from the west coast to the east coast!!! The cookies are delicious - just like animal crackers. :) Thank you Parker's Crazy Cookies! This is the perfect treat!!! Hands down the best Christmas gift I've ever bought or given someone. The cookies turned out incredible. I'm sure that was the first among many trips I'll be making to this website for gifts. Oh My Gosh!! These were such a hit! My mother turned 70 and we held a surprise party for her, she loves wine so we picked her face on the body holding a wine bottle! They turned out so great! Not everyone knew each other at the party so these were a great conversation piece too! And we didn't have the mess of cutting cake! The folks at Parkers were so easy to work with - both by email and on the phone! So helpful!! But best of all - they taste great!! Thank you so much!!! We just celebrated my daughter's first party this past weekend and the cookies were an absolute hit!! I cannot even count the number of people who complimented the cookies or asked where I got them from. The cookies were perfect. The customer service was also very prompt and made it a point to make sure I was happy with the proof before it was sent off to be made. I love these cookies and I can't wait for another chance to order them again!!! Love. Love. Love. I cannot say more about these cookies. They were the HIT of my party. People could not stop laughing. They looked JUST like my husband. I love them. I don't want to eat the ones I have left because they make me laugh. The service was amazing and the cookies arrived on time and perfect. Thank you so much!! Amazing outcome to the perfect surprise party. Thanks again. My father turned 90 years old and I ordered the customer cookies for the guests at his birthday dinner. What a huge hit the cookies were. I would like to thank the staff at Parkers Crazy Cookies for making the dinner party a huge success. The entire process of designing the cookie went smooth with great and efficient communication from the Parker Team. We went back and forth about 3 times to get the perfect cooki Thank you again! I appreciate all of the attention to detail you put into the design of my father's cookie. We ordered logo cookies for a recent event and the whole process, from start to finish, could not have been easier. The cookies arrived on time and were exactly what we wanted. Thank You PCC! 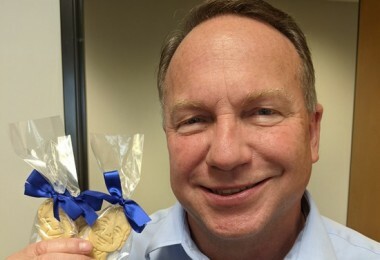 The cookies that I created with the Crazy Cookie Team for my husband's retirement party were a hit! The detail was incredible. Everyone wanted to know where we got the cookies. The process for creating the cookies were simple and very straightforward. 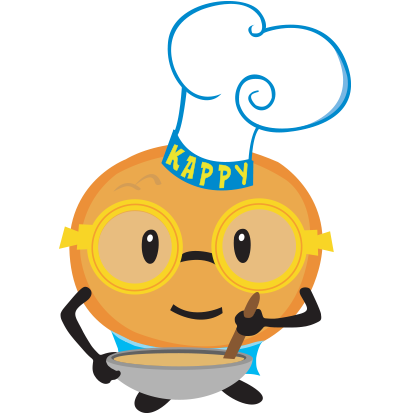 The entire Crazy Cookie Team was great to work with. 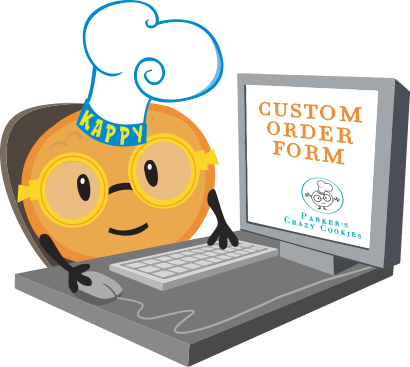 I will order cookies again from Parker's Crazy Cookies. I hope you get some customers from our wowed party guests. The cookies looked great and tasted great too! 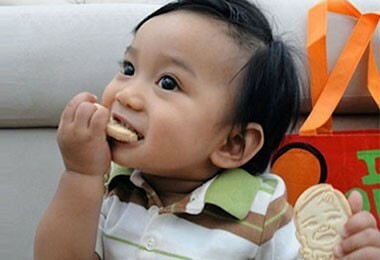 I discovered Parker's Crazy Cookies less than two weeks before my daughter's first birthday. I was hoping that placing an order would be enough time for them to create these cookies... and it was!!! They were amazing at getting my order to my doorstep in time for her party. Not only did they look amazing they taste just as good!!! The design team was so great in making the changes that we wanted. I couldn't be happier with the end result!!! A million thanks!!! I can't remember the last time I ordered from a company and had such a wonderful customer experience! Every step of the process is customer friendly and the designer worked to get the designs just right. My order arrived yesterday and the cookies are incredible! They are beautifuly packaged, arrived in perfect condition, and even taste delicious! Best of all, they look just like my mom and I can't wait to see her face when she see's them. I'm sure they will be the talk of her 80th birthday party next weekend! Thank you for offering a great customer experience and creating an outstanding product! Your cookies were a hit at my husband's 40th bday. 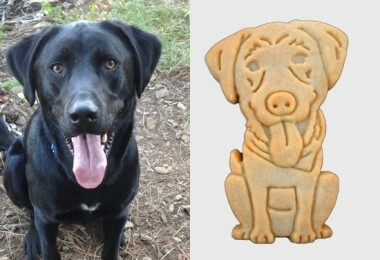 People were surprised how delicious they were and how much they looked like him. I was asked several times where I found such great cookies. The Crazy Cookie Team at Parker's Cookies was top notch. I received a response to my emails and calls quickly and I never felt like I was bothering them with my questions or concerns. 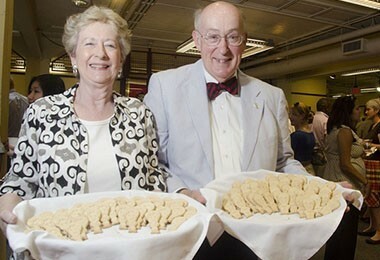 I would certainly do business with Parker's Cookies again. 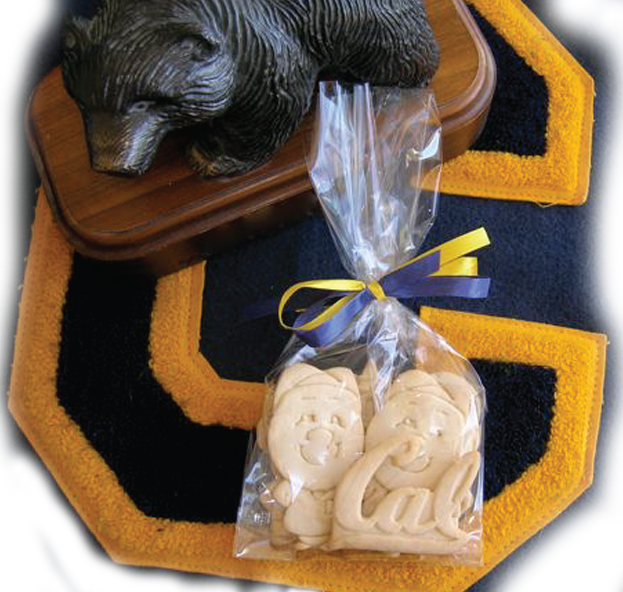 We just received our order from Parker's Crazy Cookies and we love them! 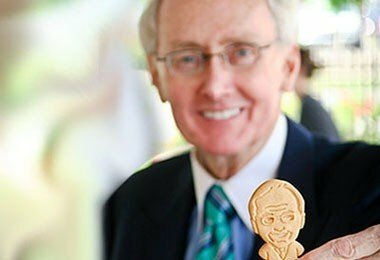 They're for my father's 80th birthday and it's amazing how they were able to capture his likeness in a cookie. My dad says they look just like him :-). 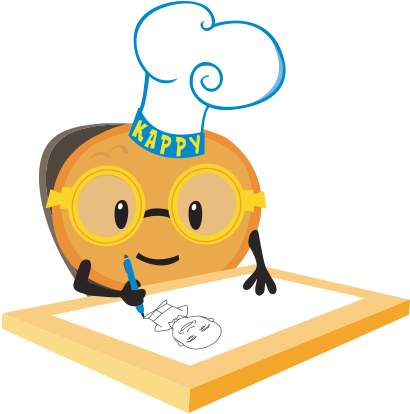 The team at Parker's Crazy Cookies was great to work with, they were very responsive and allowed us to make several changes to the sketch in order to get it just right. And the delivery came early so we didn't have to spend any time worrying about whether they would arrive on time. I'm sure that our party guests are going to get a kick out of the cookies and I will definitely be Parker's Crazy Cookies to others! 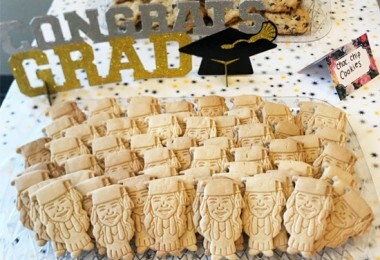 I ordered cookies to look like my nephew for his graduation party. What a hit! Everyone loved them. They were perfect little party favors and so easy to do. Customer service was excellent and they arrived in perfect shape. Thank You Parker's! Bring the “WOW” factor to your next party!! 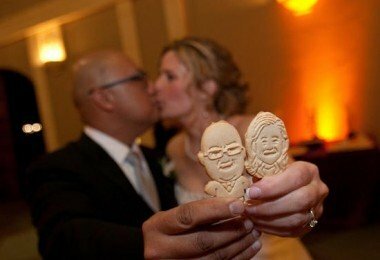 Celebrate that special someone or something like never before with a personalized cookies from Parker’s Crazy Cookies. The leader in unique edible favors! Check out some of our Pre-made cookie collections. Low in sugar...High in Fun! !